Bill leads the Pharmacy Division and is responsible for the development of the business and overseeing client and industry relationships. 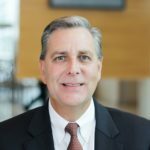 Since joining Rawlings in 2001 to start this division, Bill has worked to pioneer new payment integrity, recovery, and compliance services to meet the needs of health plans serving the commercial, Medicare, and Medicaid business markets. Prior to Rawlings, he worked for PwC and was Director of Audit for an international life and health company. Bill is a graduate of the University of Louisville.